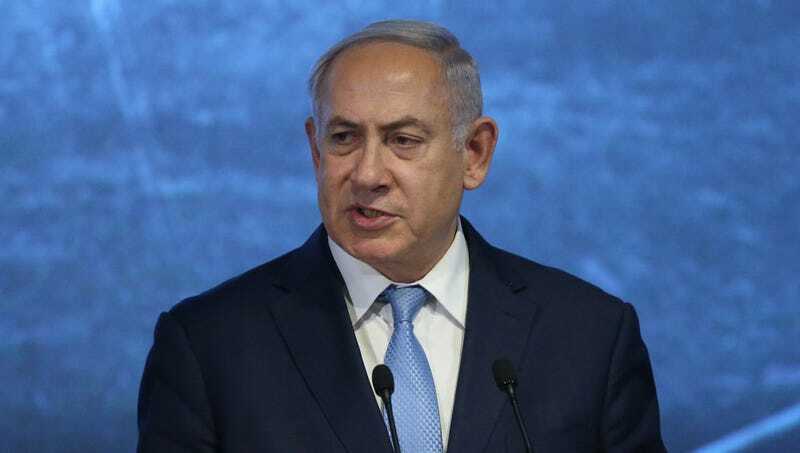 JERUSALEM—Wiping away a tear as he confirmed the public’s worst fears, Israel prime minister Benjamin Netanyahu officially declared a nationwide day of mourning Tuesday for a section of security fence damaged in yesterday’s conflict at the Gaza border. “We must all come together and take the time to grieve for this poor, innocent length of fence,” said Netanyahu, who throughout his reportedly stirring eulogy shared several images of the youthful barrier, which was first erected between Israel and the Gaza Strip in 1994. “Let us never forget what happened to this beautiful razor wire–topped barricade, which still had so much life ahead of it. As we lower our flags to half-mast, I encourage all Israelis to take a few moments to consider the great sacrifices made by our many brave fabricated enclosures.” Sources confirmed Netanyahu concluded the solemn ceremony with a 21-gun salute fired directly into a group of Palestinian protesters. Netanyahu Provides Stunning New Evidence That Iranians Planned Sacking Of Babylon In 539 B.C.